Fifteen years ago, June Mersky was browsing through a church thrift sale when she spotted a peculiar-looking painting. The composition was balanced, the palette meticulously rendered, and the subject matter strangely nostalgic. She took a closer look and found, to her delight, a number peeking out from the corner - a spot the 1950s paint-by-numbers artist missed. It had been decades since a ten-year-old June stashed away her last batch of the once-popular paintings. Another decade and many more thrift shops later, her collection became the basis for the 2001 Smithsonian exhibit Paint By Number: Accounting For Taste in the 1950's. Unlike the collectibles that made her famous, June's appreciation for paint-by-numbers is nuanced and complex. For her, the paintings have an anthropological value unsurpassed by most 'crazes' of the past century. Paint-by-numbers cut across socioeconomic lines to tap into the desires and the ambitions of the leisure-loving and cash-flushed American of the 1950s. Everyone-- suburban housewives, convalescing patients and industry tycoons-- tackled the familiar canvas of blue lines and numbers. The amateur's enthusiasm was infectious and June could sense it in every painting she found. Perhaps because she so admired the people who helped turn paint-by-numbers into an icon, June's only criteria for her collection was that the painting be well-made. She got them wherever she could find them, often negotiating with people who had not known the painting that adorned their shop or home was a paint-by-number. In fact, her most memorable purchase was a baseball player's portrait she found in a pub in Connecticut. 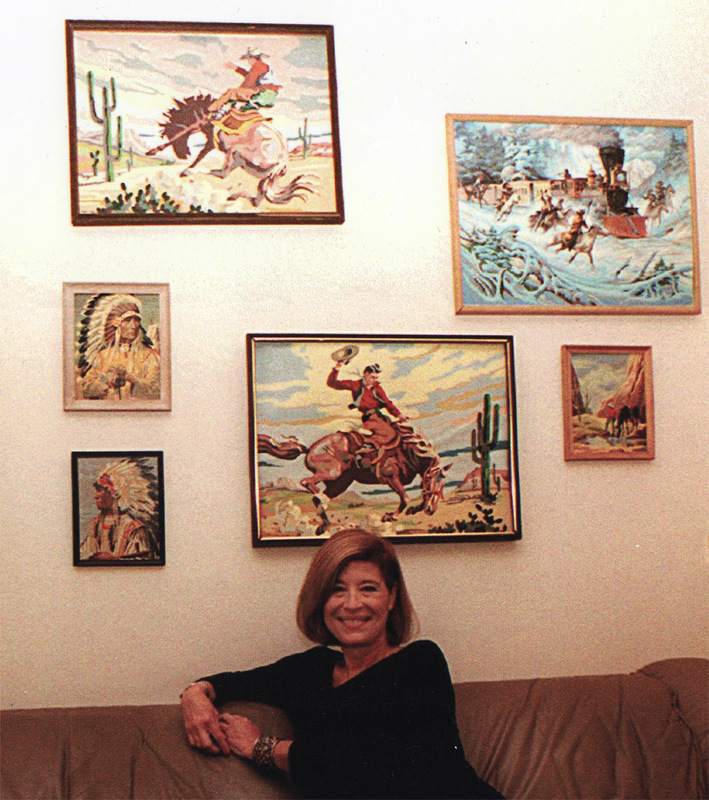 While June stored the bulk of her collection, she liked decorating her own home with the paintings, even playfully juxtaposing cowboys and Indians on the walls of her den. By the time June purchased her thousandth painting, the art community was developing its own fascination for paint-by-numbers. Galleries in Soho and Chicago ran retrospectives as the media published more and more reports on the paintings' "comeback" as memorabilia. After years of planned searches and lucky finds, she became well known among paint-by-numbers collectors. Reporters from the New York Times and Boston Globe sought her perspective on the resurfacing interest in paint-by-numbers. Friends who once teased her about her hobby were astounded when a representative from the Smithsonian Museum contacted her to ask if she would lend some of her paintings to an upcoming exhibit. The exhibit, which featured many of her paintings, was a success for the museum and a personal triumph for June. Deciding that she could not have a better experience as a collector, she decided to sell her paintings in the hopes that she could inspire a new generation of hobbyists. Today June still has a few around the house and she is happy to have been one of the lucky few to experience paint-by-numbers "twice".